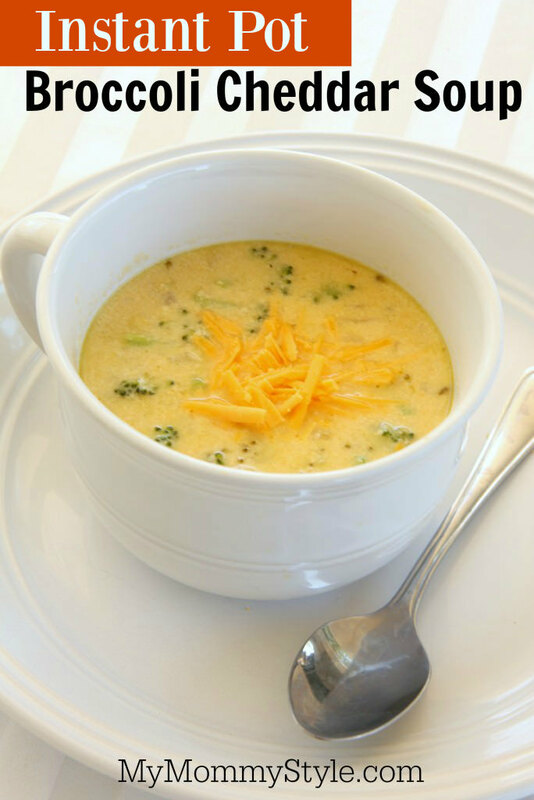 If you are wanting to make a delicious soup on a week night but don’t have hours to let it simmer this Instant Pot Cheese Broccoli soup is for you! I love eating soup in the fall and this is one that your family will love to have on repeat. The instant Pot has become our best friend in the kitchen as it makes prepping for dinner so much easier. This is the instant pot I use and love. You can buy smaller sizes for side dishes or if you have a smaller family. 4 C chicken broth you can substitute with vegetable broth if you want to keep the dish vegetarian. 1. Combine carrots, broccoli, cheese, water, chicken broth, garlic powder, and seasoned salt to instant pot. Put on instant Pot lid and seal. Making sure the arrow is pointing in the sealing position. Press soup button on instant pot and set timer for 5 minutes. The instant pot will take time to pressurize, that is accounted for in the cook time. After the 5 minutes has begun and beeps when done, quick release the pressure and let all of the steam come out of the pot before removing the lid. Remove the lid carefully. Add milk and stir in to finish the soup. You can garnish with sour cream, spinach, or green onion.